SSG Steven Robertson took this over Salinas! Why did you choose the Army? Seven years ago when the war started, I started getting into what was going on and paying attention to everything that was happening over in the Middle East. My father was in the military so I decided it was time for me to join the Army and give back to my country everything that's been given to me. And you chose parachuting right? Yes, I chose airborne infantry. I wanted to be an infantryman along with the airborne identifier and jump out of airplanes and do stuff like that. 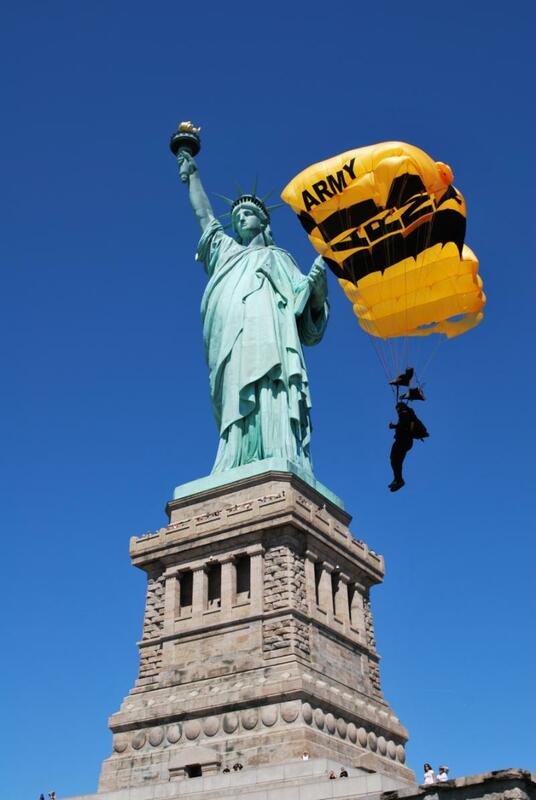 I'm with the United States Army parachute team the Golden Knights. Prior to that I was in the Army's 501st Parachute Infantry Regiment, which was the original airborne unit for the Army. I have not. I have had pre-deployment orders and I've actually had them twice but I have not gone yet. I am trying to actually go. They’re probably going to send me this year. Around Christmas time I'm probably going to go. Do you like doing demo teams and skydiving? I love it! I love being able to do what I love. Doing this has been great. 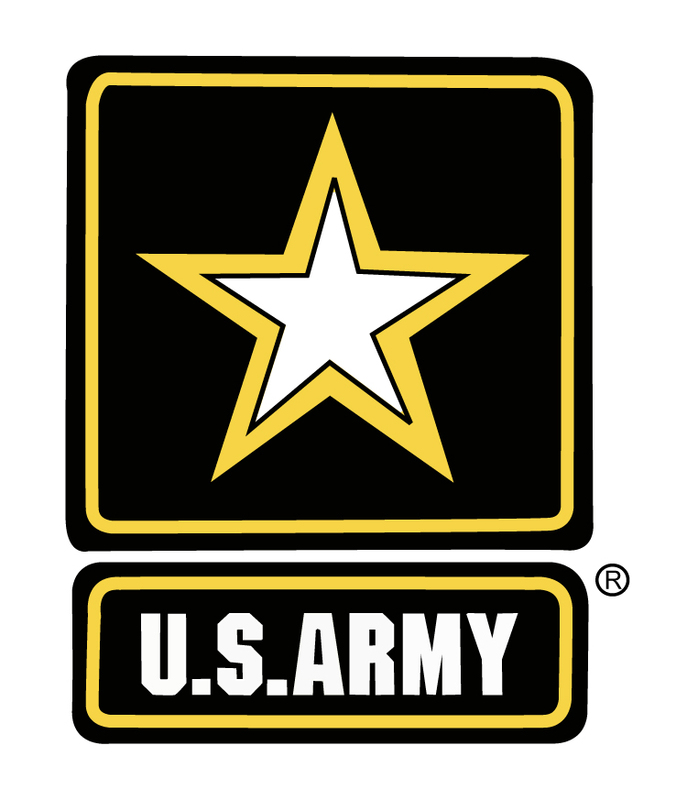 It’s something I've loved since I've been jumping out of airplanes in 1997 and now I get to represent the Army and jump and actually go talk to the public like yourself and explain to everybody what the Army's done for me and everything that the Army tries to give back to the community. What will you be doing when you’re in combat? In combat I'm an infantryman and as my rank is staff sergeant, I would be in charge of nine guys including myself which consists of two fire teams. Typically as an infantry guy, we might do missions like reconnaissance missions to go out above everybody to see what’s going on, or in a real-time solution, like you might see now, where it’s urban, we might actually go into a house where the team would go into a house and look for weapons or people who are against everything that's going on over there. As far as airborne operations go, there is hardly any going on in the current conflicts that are going on today. It's just ineffective right now and not necessary since we’re already in there. How did you get chosen to be a parachutist in the Army? As a parachutist, I became an airborne infantryman right out of basic training. They asked us at basic training who might be interested in going to airborne school. You raise your hand and then they send you out of Fort Benning for airborne school. It’s right there; they put you on a bus and take you over to airborne school. Airborne school is a three-week process; you have two weeks of groundwork in practicing how to land and stuff and then one week of airborne operations. There are five jumps. After you've done your five jobs you become an airborne qualified person which is which is right here, my airborne wings. (Steven pointed proudly to his golden wings on his chest). How did you get to join the Golden Knights? Do you like parachuting; you know the feeling rushing as your falling through the sky? I love it! It's a complete sense of freedom! But you don't get the feeling of falling actually. When you step out of an aircraft, it's like you're flying. You might get the falling sensation for maybe one second and then after that it's not there. Ever stick your hand out of a car window and the cars moving pretty fast? Well that's what it feels like on your whole body. Wow, that must be really exciting. It really is exciting and doing it in front of the public especially because I’ve jumped in front of millions of people at a time and that's where the excitement really comes because I'm representing the Army, doing what I love doing. What was your first parachute jump like? I was scared. I'm not going to lie to you. I was scared. I did it just outside of St. Louis Missouri in a little town called Bowling Green and I did it in 1997. I actually was scared and it happens to everybody. If you're not scared the first time you’re jumping, there's something wrong with you. You’re jumping out of an airplane! If you don't have any kind of a fear or anything there’s something wrong upstairs! It takes about 50 jumps to get over the actual fear of everything that's going on and to be able to trust your equipment. The equipment nowadays is top of the line and the kind of injuries that happen now in the sport of skydiving are self-induced. It's not equipment, it’s somebody showing off or doing something they shouldn't be doing. Our team has a very high rate of safety. We have not had a fatality since 1994. As far as statistics go, in the jumping world, we have the highest safety record of anybody out there. That's pretty impressive. Do you have a favorite jump that you've done- like a story you can share? You know something exciting? I love all the airshows. They all come with a good story behind them but probably my most memorable jump, well, I have a couple. I guess my most favorite was this year when we jumped onto the grounds of the Statue of Liberty - this was about three months ago. There's not a lot to it but we were jumping into one of the most restricted flight areas in the country and I got to jump there. Another most memorable jump was one where we jumped over Chicago at night time which nobody has ever done. We got to jump over the city at night and land on the beach in front of downtown Chicago. Have you ever had any close calls jumping? Since I've joined the team, no I have not. But I have had four parachute malfunctions before I joined and they were all done when I was a civilian. Since I've been on the team everything has been very safety oriented and I’ve had no close calls and everything's been by the numbers. Did you feel really scared when you parachute malfunction? The first time yes, I stayed up the entire night after that happened. But after the next couple ones I was very safe with what I knew was on my back because the reserve parachute is packed by a certified FAA rigger every 180 days. They take it apart and they inspect it, they go over lines, they go over material, and it takes them about an hour to pack up the reserve parachute. Also on our parachutes there is what is called the “Cypres”. It's an automatic activation device where if you go through a certain altitude at a certain speed it will fire your reserve parachute out. So if say we’re doing a big formation and some of us bump heads and one of us got knocked out, we would survive because that “Cypres” would fire the reserve parachute. That sounds really exciting to do what you're doing. So you jumped as a civilian before you joined the Army? That is correct. I have 5232 jumps. 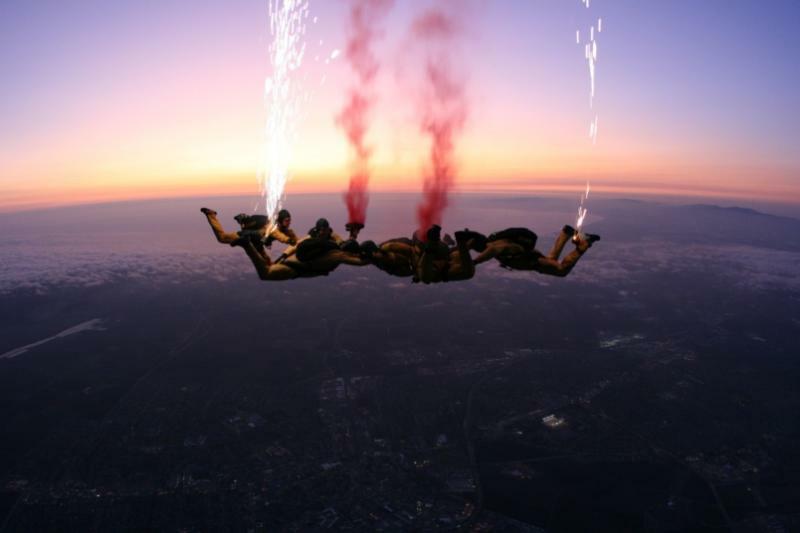 As a civilian I was actually working at a local drop zone near St. Louis, training other people how to sky dive. Once I got off student status, the owner of the drop zone would give them to me and I’d teach them the advanced body flight. Once they got off of learning how to use their parachute, I’d teach them how to use their body and go around and move and do formations in the air. What kind planes do you jump from? Our normal jump aircraft is the F27 Fokker. It's a twin turbo prop aircraft you'll see here this weekend. It has two doors in the back that we use to jump out of. It is typically used as a cargo aircraft in the third world but we've modified it for jumping. I’ve jumped out of everything from hot air balloons, biplanes, Chinook helicopters, Blackhawks, Hueys. If anything has a door and I can get out of it, I will jump out of it. I jumped out of a 727 also. Oh really! It was scheduled right? Yes! It was scheduled! It was at a big skydiving event. They had a door in the back that would go back and one person at a time could get out but I had to pay for that. It cost me $80 to do it but how often do you get that jump out of a jet? Wow that's a pretty impressive record! So what does it take to be a parachutist with the Golden Knights? That goes back to what we were talking about earlier about the 150 jumps and the selection process to make the team. Your first year on the team is actually a training period. To make sure that you can still do everything that we taught you during the tryouts. Then what we do, once you've made the team, we go to Yuma Arizona every year for two months solid and we train all our new personnel on how to do everything. If you've ever seen us jump, you'll see we have a very small target. The center of the target is about the size of a medium pizza and we pride ourselves are putting our feet in the middle of that thing every time we jump. Yes. The parachutes we use are a little different than some of the ones you’ll see. They're designed to land right on that target. You know Rob Reider? He is going to be this airshows narrator. He's probably one of the best narrators in the country. He trained everybody on the Golden Knights to be a narrator. He trained me four years ago on how to narrate shows. Were you into the skydiving as a kid? No, I was not. I never had any interest. It just came up. In 1997 I had some issues going on. My mother was sick, she had cancer, and I needed something to take my mind off what was going on in my house, because I'd moved back into the house. I was in my 20s and I’d moved back in to help out with her and I just needed something exciting to get my mind off of everything that was going on in the house and I picked skydiving. I watched the movie “Point Break.” Have you ever seen “Point Break”? That's what made me think, ‘I want to try that’! They had a big skydiving scene in it. It was a little far-fetched but it made me want to go do it. It was really exciting. 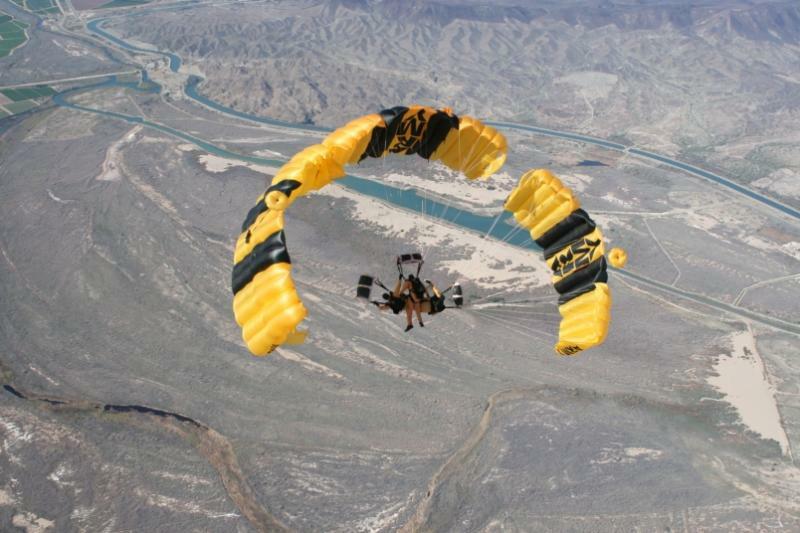 I have a high number of jumps, more so than most people do, because I was working a drop zone on the weekends. 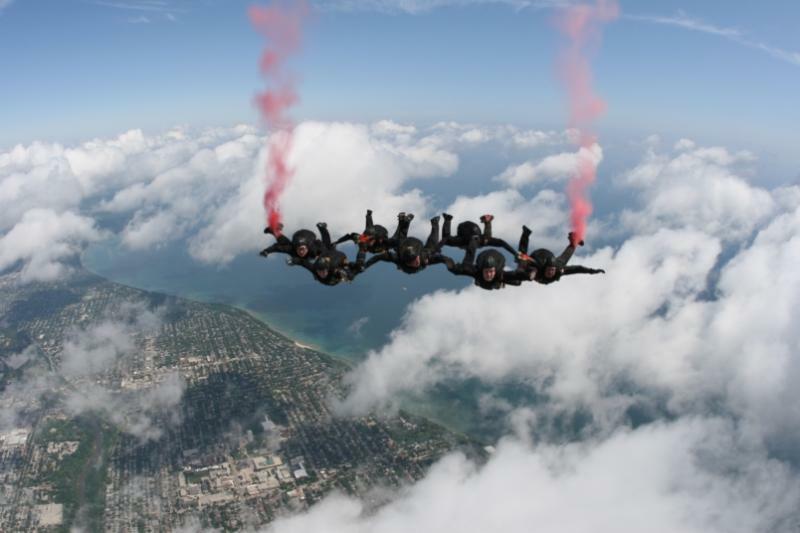 I would probably do 20 to 25 jumps a day working at the drop zone. I had three parachutes and I had a packer that would pack for me. I would land, give him my parachute, he would give me another one of his freshly packed, and when the plane would land I’d get right back up on it while the props were still moving - one right after another, all day long. I was a bartender during the week and a skydiver on the weekend. But I gave that all up to join the military and give back to my country. I'm really interested in World War II and the 82nd airborne; did that inspire you at all? Yes. “Band of Brothers” came out after I had joined the military but those guys; they were some of the best guys in the world. And it wasn’t just the 82nd; remember I told you about the 501st? The 501st was pretty much the first airborne infantry unit. Everybody says the 82nd but it was the 501st that led the way. Everybody says 82nd because the 82nd is the biggest airborne unit in the country but the 501st was the first one. I pride myself on being part of that legacy. It was a lot more dangerous then because you know you had flak all around you and all the things I wouldn't think would be very reliable. The parachutes were pretty reliable. 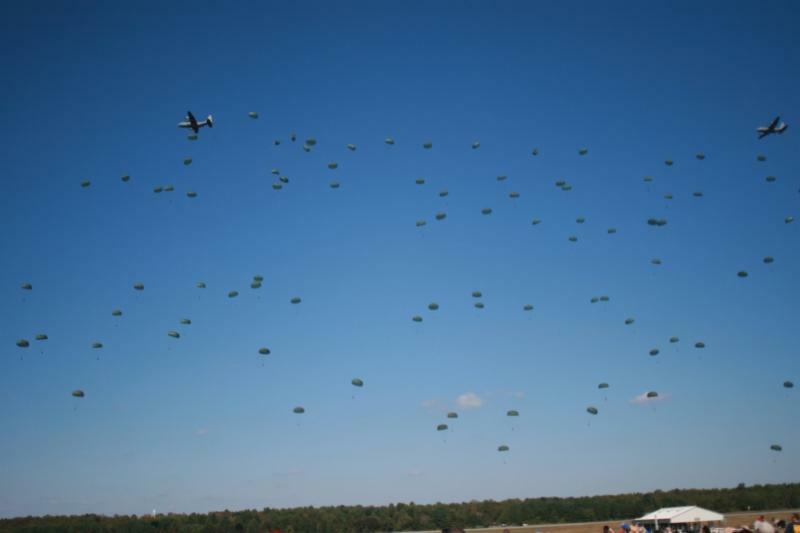 Nowadays the parachutes that the airborne unit uses aren't much different from what they used back in World War II. There’s not a whole lot different in them. Have you met any of the original 501st parachutists? No, but I've met some of the guys out of “Band of Brothers”. I've met two of them. I met them in South Carolina at Fort Jackson and that was three years ago when I met them. It must've been a real honor for you. It was. I was in awe meeting guys like that. What they did was really remarkable. I didn't join the military until I was 32 and I joined because of everything that was going on with our country and in the Middle East and I just wanted to get involved. I just wanted to help our country. Well, wow! That was a great interview! Get everything that you need? Yep, I did! Thank you so much! I had great time. I had a great time talking with you. It was nice meeting you thank you for doing this. Special thanks to SSG. Steven Robertson who helped me with the interview. I didn't know I was going to get to interview him so I didn't have any questions prepared like I usually try to do. He's a great guy!